Sustainable economic development in sub-Saharan Africa will only be possible if towns and cities across the region thrive. This column highlights the critical role that national governments need to play in guiding the urban transition. National Urban Policies can help allocate responsibilities to the most appropriate level of government, and ensure that they have the capacity and resources to fulfill their role. All over Africa, towns and cities are emerging as centers of hope and economic opportunity. Average incomes and life expectancies are higher in urban areas than in rural areas, so it comes to no surprise that rural populations are moving to cities. GDP growth outpaced population growth in African cities in 2015. 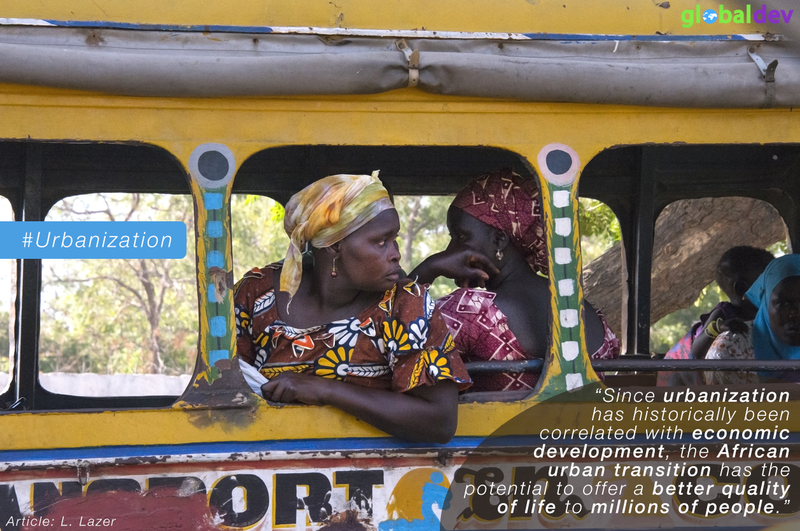 Since urbanization has historically been correlated with economic development, the African urban transition has the potential to offer a better quality of life to millions of people. But urbanization in Africa looks different than it does in other parts of the world. Unlike historical urbanization in other regions, urbanization and real GDP per capita do not necessarily correlate in sub-Saharan Africa (1990-2017). Because so many people are financially or politically excluded from formal property and labor markets, informality is widespread: 76% of the workforce is in informal employment, which generates up to half of value added outside agricultural activities. The contrast with affluent cities in the global North can be staggering. The municipal budget of Accra, Ghana, is just US$12.5 per person per year. Meanwhile, New York City spends up to US$9,500 – 760 times more. Estimated per capita municipal budgets in selected African cities. Most NUPs in Africa were adopted after 2011 and focus on infrastructure and services; spatial planning; and accountability. In Lagos alone, the lives of 88 million people will depend on the choices that national governments make today. Leah Lazer serves as Research Analyst & Project Coordinator for the Coalition for Urban Transitions, a New Climate Economy Special Initiative on Cities.